Altrade Business Centre has given a new dimension to co-working space in Gurgaon, where you get to encircle yourself with individuals in an open office space who can help you with your business and you may get the opportunities to collaborate with other business professionals. Join our co-working space to socialize with like-minded colleagues in a collective working ambience at the costs much lower than leasing a conventional office. Co-working space at Altrade Business Centre lets the business thrive and grow by presenting a professional presence which gives a genuine thrust to business development while fulfilling every need of your business. 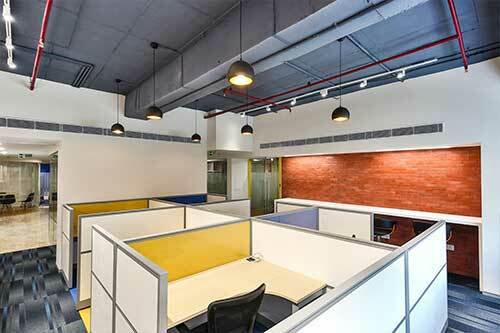 With the rise in a number of start-ups, entrepreneurs and freelancers, there is an expanded demand on inexpensive co-working space in Gurgaon. Subsequently, such a style of work is developing as a more charming idea where you can take care of business while interfacing with your similar business groups expanding your models. We give completely outfitted co-working spaces with access to all the essential services which helps you remain associated and concentrate on things that matter to your business. Our Co-working spaces are situated at prime areas with adaptable workspace including private workplaces, administrative lodges, open workstations, meeting rooms and virtual offices. These shared office spaces render adaptability and shrink the difficulty of chasing a dependable and affordable workspace. From a beneficial point of view, Altrade Business Centre provides co-working space which is moderately economical and most appropriate for every one of the new companies, outsourcing experts and self- employed professionals who traditionally wind up working in relative isolation.